The Reformation Movement in Germany provides readers with a strong narrative overview of the most recent work on the Reformation in the German lands. C. Scott Dixon studied history at St Andrews University and Cambridge University. His publications include The Reformation and Rural Society (1996) and The German Reformation: The Essential Readings (editor, Blackwell, 1999). He lectures on European History at the Queen's University of Belfast. 1. Germany of the Eve of the Reformation. 2. Religious Culture and the Reformation. 3. The Reformation in the Parishes. 4. Political Culture and the German Reformation. 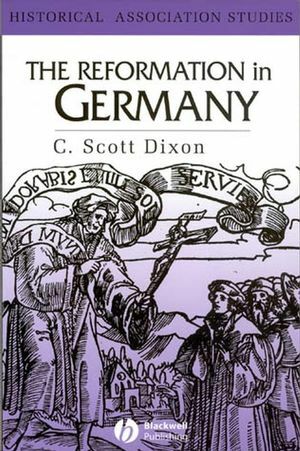 Introduces students to the key issues of the Reformation in Germany. Provides an overview of all the recent work on this subject. Examines teh Reformation in its cultural and political context.